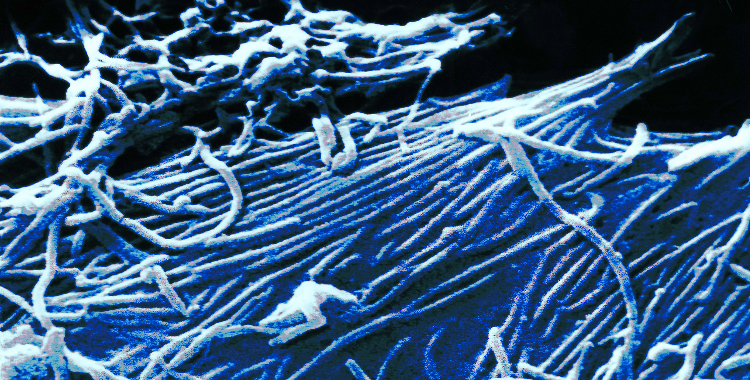 It is now widely known that Ebola survivors may suffer chronic infections and can transmit the virus to sexual partners, but the epidemiologic implications of this pathology have not been well understood. A recent theoretical project led by UGA graduate student John Vinson explores the effects of sexual transmission on outbreak size, duration, and the probability of a large secondary outbreak occurring. The upshot is that the chance for an epidemic to be “reignited” months to years after the first wave of infection is not negligible, suggesting that continued vigilance among populations that have experienced Ebola outbreaks is important.